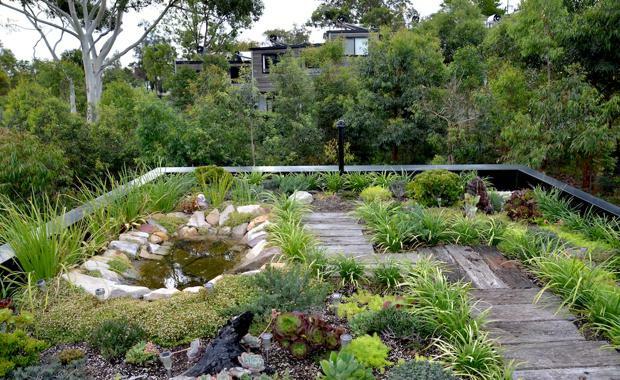 Green roofs like the one at Forest Lodge Eco House in Sydney are changing our city landscapes. Green roofs are emerging as a popular sustainable building solution as more architects around the world look towards utilising more environmentally sustainable building practices. A green roof or a living roof is a building with a layer of vegetation that partially or completely covers the rooftop. They are usually grown over a waterproof membrane. Striking in appearance, green roofs can range from a simple lawn to more elaborate 'forest' like plantings. There are two types of green roof: extensive or intensive. Extensive green roofs have a thin grown medium that is up to 200mm deep with ground cover vegetation, while intensive green roofs have soil over 200m deep supporting vegetation up to the size of trees. Green Haven project in Luque, Parguay by Bauen Architects. Image by Monica Matiauda. Lara Rios House and Atelier at Gijon, Spain by f451 arquitectura. Photo from f451 arquitectura. Brahler Residence in Bay Village, Ohio by Robert Maschke Architects. Photo by Eric Hanson. Villa Topoject at Gyeonggido, Korea by Architecture of Novel Differentiation (AND). Photo by Byun, Jong Suk. Villa Rouge in Japan by Ciel Rouge. Photo by Iishii Toshihisa.